If you are taking on the challenge of learning the Spanish language as a complete beginner you might be somewhat daunted by the task in front of you. The truth is that you are really only a few lessons away from having some of the basics of the Spanish language under your belt. As a complete beginner though, there are a few things worth thinking about before you begin your learning journey or choose a Spanish course. You probably have a few questions in mind already. Is learning Spanish difficult? Will it take long for a beginner to learn the Spanish language? Are some Spanish courses or programs better for complete beginners than others? Which Type of Spanish Beginner Are You? Generally speaking, people who are starting to learn Spanish will fall into one of two categories. There will be people who have learned a foreign language before and people for which Spanish will be the first language other than their native tongue that the try to learn. If you have learned a foreign language in the past, you will almost certainly have an easier time learning Spanish than someone who is undertaking a foreign language for the first time. By having another foreign language under your belt already you will know that the word order in particular (as well as many other things) can be very much different to the English language. Those who have never learned another language may find this difficult at first. For example in English we would say ’look at the white house’ but in another language the word order might translate into something like ‘the house that is white you see.’ Getting your head around this word order difference between languages can take some time for beginners. Once you understand it though you will find that you can transfer this knowledge to other languages in the future. So, what does this all really mean for beginners to the Spanish language? People who have learned a foreign language before would be better able for immersion type Spanish lessons or courses (Rosetta Stone for example) where there is little or no English explanation involved in the lessons at all. People who are complete ‘newbies’ to foreign languages should avoid this type of course completely and go for one that has a lot of clear English explanations and translations (Rocket Spanish and Fluenz Spanish would be good examples). 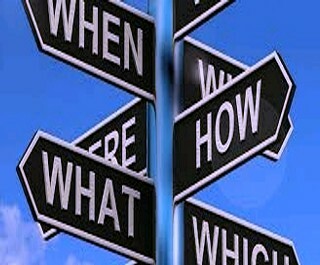 Possibly one of the most important things to consider is the concept of fully understanding the lessons you are taking. Some types of Spanish lessons or courses do not have full English translations or explanations of everything you are being taught (courses based on the immersion method for example). Studies show that lessons that have both Spanish and English together are the best way for beginners to learn. Immersion types of lessons will often teach you by showing you a picture of an object and then the Spanish word associated with that picture. For example you might be shown a picture of a dog and along with the picture the Spanish word “el perro”. Now this is pretty simple, you will immediately figure out that the Spanish for dog is el perro by associating the word with the picture – no problems there. Let’s say the next picture you are shown is a picture of a dog chasing after a cat and the Spanish sentence ‘el perro corre tras el gato’. You will quickly pick out the words ‘el perro’ for ‘dog’ and ‘el gato’ for ‘cat’. However this sentence could have several meanings. Is it ‘a dog is chasing a cat’ or ‘the cat runs away from the dog’ or ‘the dog runs after the cat’ or something else? Without the exact English translation you will be left to guess the meaning of that sentence and might not learn the correct context to use it in for some time. The creators of Spanish courses that are based on the immersion method of learning often claim that you learn quickly because you are ‘thrown into the deep end’ so to speak and as such learn because you ‘have to’ – the sink or swim idea. From the example above however I’m sure you can see how you might not learn quickly at all, in fact you might learn very slowly! Although a beginner can of course succeed in learning Spanish by using a Spanish program based on the immersion method of learning they will need to be aware of the fact that they might find it tough going and it could take them much longer to learn even the basics. Rather than just memorizing a word or phrase to ‘parrot’ back to people it is important to understand the meaning and context of what you are learning. A Spanish course or program of lessons which contain full English translations and explanations of everything being taught is to be recommended for beginners – especially those who have never learned a foreign language before. Some of us remember the way we were taught Spanish (or other languages) in high school. This typically involved lots of having to memorize endless words and phrases – which for the most part were not particularly enjoyable. The experts now know that long ‘heavy’ lessons are to be avoided since the more we try to learn in one go the less we are able to remember over the long term. The best way to learn is to not only understand the full meaning of what we are learning, in both languages, but to learn in smaller, more ‘bite-sized’ lessons that we repeat frequently. This exercise of repeating shorter more manageable lessons helps us to move what we learn from our short term memory to our long term memory more quickly. Having difficulties with remembering your lessons can be very discouraging and may even lead some people to consider giving up altogether. The best way to avoid this is to break down your lessons into smaller ‘pieces’ as described above. So, when choosing a Spanish course or program as a beginner, make sure that the program has at least some shorter more easy to manage lessons included within the course material. One aspect of learning the Spanish language that can be difficult to master for beginners is pronunciation. Spanish has many different ‘sounds’ to the English language. As a beginner you need to learn to recognise these sounds when they are spoken to you and you also need to be able to pronounce these sounds correctly. It’s important to get your pronunciation right as quickly as you can. If you start out getting it wrong and developing ‘bad habits’ it can be difficult to correct them later. Spanish lessons that get you speaking Spanish as much as possible and also listening to a native speaker are a must for beginners. If these lessons have some way of giving you feedback as to whether your pronunciations need improvement or not, then so much the better. Following the advice in the article above will help to make the goal of learning Spanish much more achievable for beginners. In fact, this advice would be useful to anyone who is trying to learn Spanish – not just beginners. The key to a beginner’s success with Spanish really boils down to choosing the right Spanish course or program. A beginner needs lessons that they fully understand, lessons that are short and repetitive and lessons that allow them to practice their pronunciation and get feedback as much as possible. 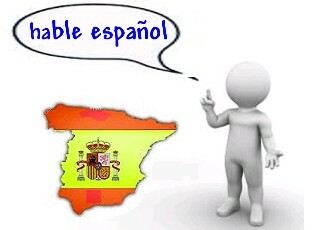 Good Spanish courses for beginners should have full English translations and explanations for every lesson. The lessons within the course should be short and manageable – ten to fifteen minute lessons would be ideal. The Spanish program should have lots of interactive lessons that get you speaking Spanish and listening to it being spoken also. The good news is that there are quite a few online courses on the market at the moment that are designed with the Spanish beginner in mind and contain exactly the kinds of lessons described above. In fact, learning Spanish online for beginners has never been easier! Rocket Spanish, Pimsleur Spanish and Fluenz Spanish are three such programs. Rocket Spanish in particular is very good for beginners especially since it offers a very handy six day free trial. If we take a quick look back at some of the questions we asked at the start of this article – Is Spanish difficult to learn? Will it take long for a beginner to learn Spanish? Are some Spanish programs better for beginners than others? The answers – no, no, and yes. If a beginner chooses the right course containing the type of lessons we talked about earlier they will learn quickly and easily. Spanish courses based on the principle of immersion are best avoided by beginners since they usually contain little or no English translations or explanations with their lessons. CLICK HERE to check out some of the popular courses that are good for beginners.